When we lived in the San Francisco Bay Area, we’d cross the Golden Gate Bridge from home and head to the Castro District of San Francisco on Halloween. It was crazy! Tens or maybe hundreds of thousands of revelers flock to the Castro on Halloween but I think we were the only ones with telescopes! 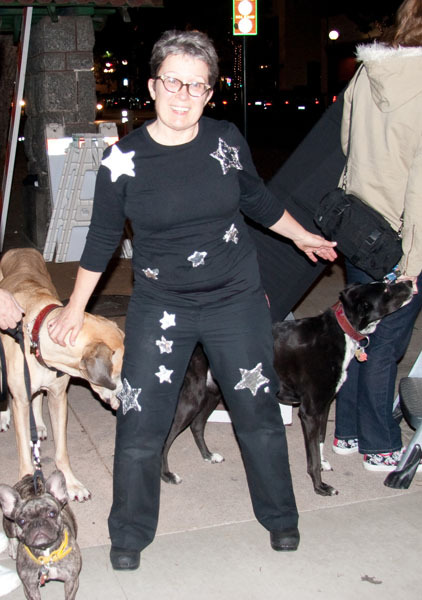 That Halloween sidewalk astronomy tradition continues in San Francisco to this day. And now that we live in southern California we’re carrying on the tradition in our new home town. 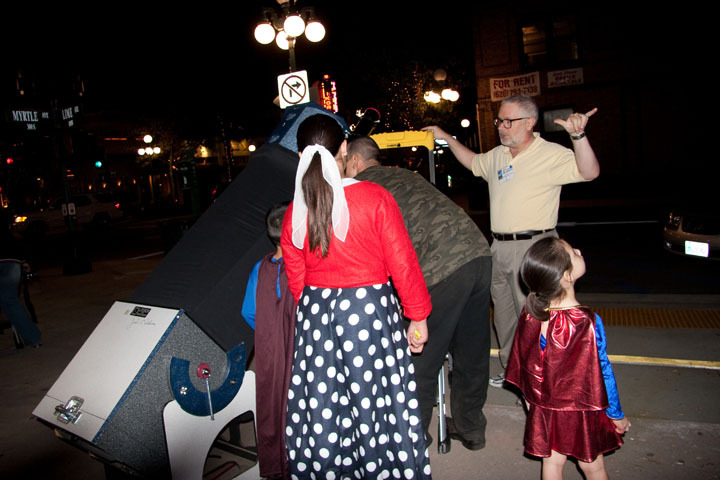 On Halloween, everyone with a telescope becomes a sidewalk astronomer. If there is a clear sky and a moon or planet to see, telescopes appear in front yards around the world. Astronomers love sharing the views, and a captive audience makes front yard astronomy a lot of fun for everyone. The magic of sidewalk astronomy took over Library Park in Monrovia,CA minutes after we arrived. On this Halloween night, our club had 5 telescopes set up. Soon, princesses, superheroes and zombies alike said wow at our eyepieces! People stayed and looked through the telescopes for a long time. Even groups of teens, on their way to some event stopped for a look at Jupiter and the moon. They said wow too! When I told one group of teenage girls that I didn’t have candy, but had bookmarks instead, one girl said “I love reading”. Every girl wanted their own bookmark. Later, a young boy, when he received a picture of Jupiter said “I am putting this picture on the wall in my room”. 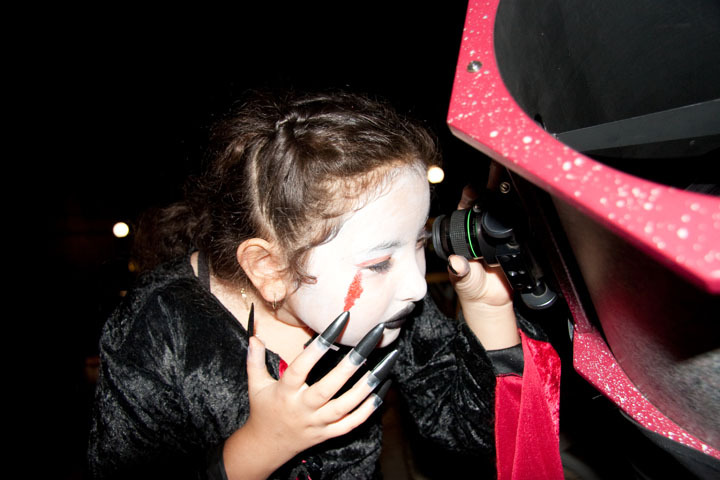 Sharing views of the moon and planets on Halloween is a great tradition. Pass it on! A spooky list of telescope targets. Look if you dare! 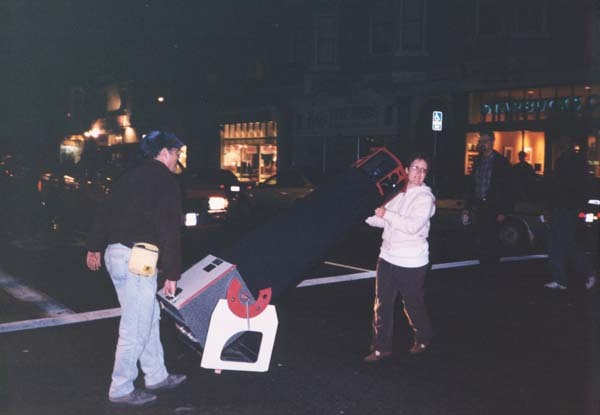 1 comment to Halloween Sidewalk Astronomy – Tradition! I wish my town had a tradition like that on Halloween I always end up looking at the sky by myself, granted it is very fun but you must be very lucky. I love the Orion costume, excellent idea.